Everyone has that one sign their period is coming. Maybe it’s breast tenderness, a little bloating, or you tend to cry at the toilet paper commercials. For some women though, their sign is a lot more, shall I say, noticable? Many of my patients come to me because they can’t function the week before their periods. Yes, they feel the physical symptoms, but that’s not why they’re here. They’re here because the emotional roller coaster is too much to handle. Maybe you can feel it coming on. The dark monster starts poking through around day 18 of your cycle. You notice you yelled at your kid for no reason. Maybe your husband said something that usually you could brush off but you start losing control of your outbursts. Things progress from there until you are nothing but a ball of rage. Everything and everyone is out to make you angry, that must be it. They are all doing all the things they know push you over your edge. Then you start your period, and life goes back to normal. You can reign in your emotions. You’re not angry anymore, in fact, you’re a bit guilty, because in retrospect you now understand why you were so upset. It wasn’t you, it was your hormones. This then happens month, after month, after month. Rage does not need to be something you live with on a regular basis. It’s actually a sign that something is off with your hormones. 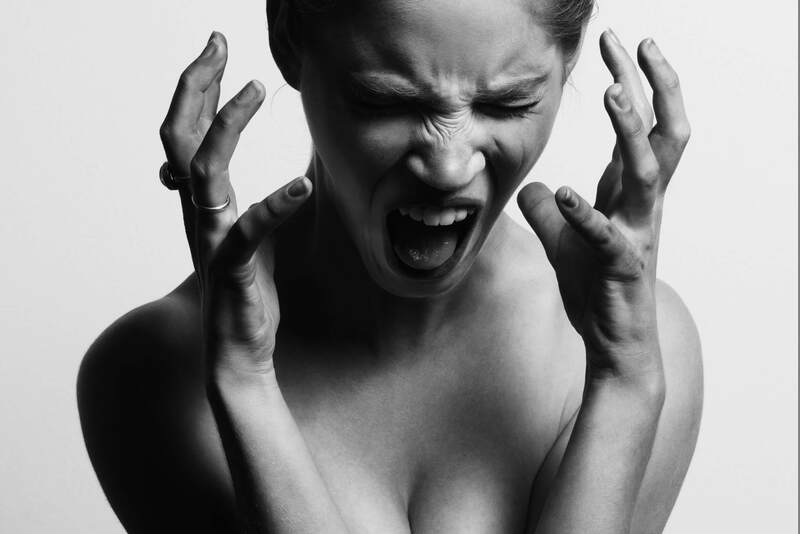 Typically the anger type of emotional instability comes from estrogen dominance. You can imagine how having high estrogen AND low progesterone can make a woman feel. This I often call “Super Dominance”. Estrogen and progesterone balance each other, they are yin and yang, if this is disturbed in any way you can get any or all of the above symptoms. The unknown cause of estrogen dominance is what makes hormone testing so important. We can’t always be sure one way or the other, so to get good results we need answers. I offer saliva or urine hormone testing in my practice. This will let us see the balance between estrogen and progesterone, as well as your other hormones, to get a clear picture of what’s going on for you. If you feel like you’re living in an estrogen-dominant roller coaster, and you’re ready to get off the ride, click HERE to book a consultation. – Use only green beauty and household cleaning products to reduce your exposure to endocrine disrupting chemicals, such as pthalates, parabens, BPA, and sulphates. – Drink a warm glass of lemon water every morning to help liver detox of hormones. – Don’t store your food in plastic containers. – Make sure you’re getting 25-35g of fibre everyday. Some good sources of fibre include oats, avocado, leafy veg, hemp hearts and chia seeds. PMS: WHAT DO ANXIETY, BREAST TENDERNESS AND BLOATING HAVE IN COMMON?